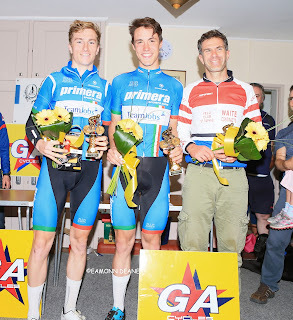 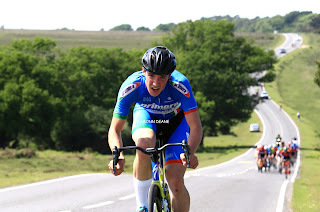 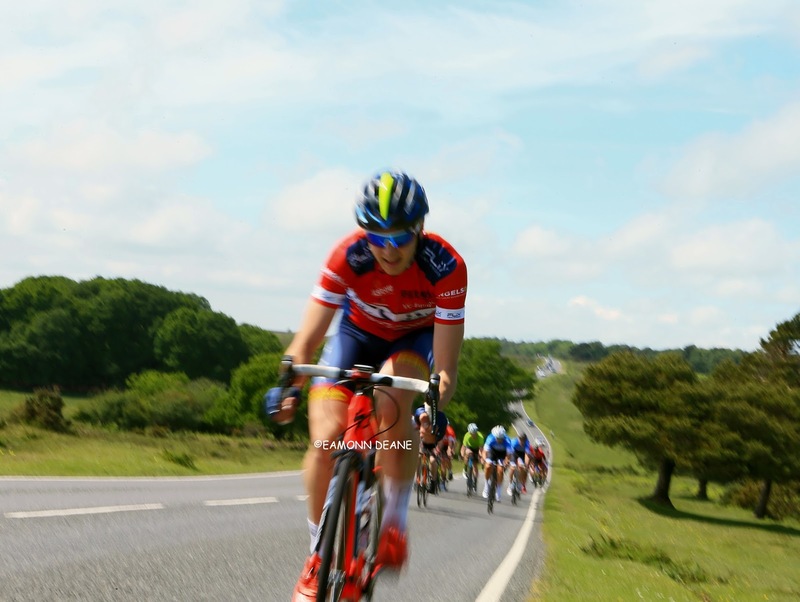 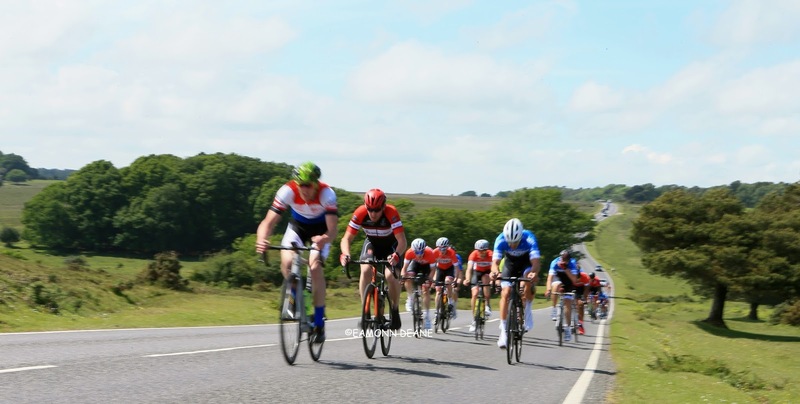 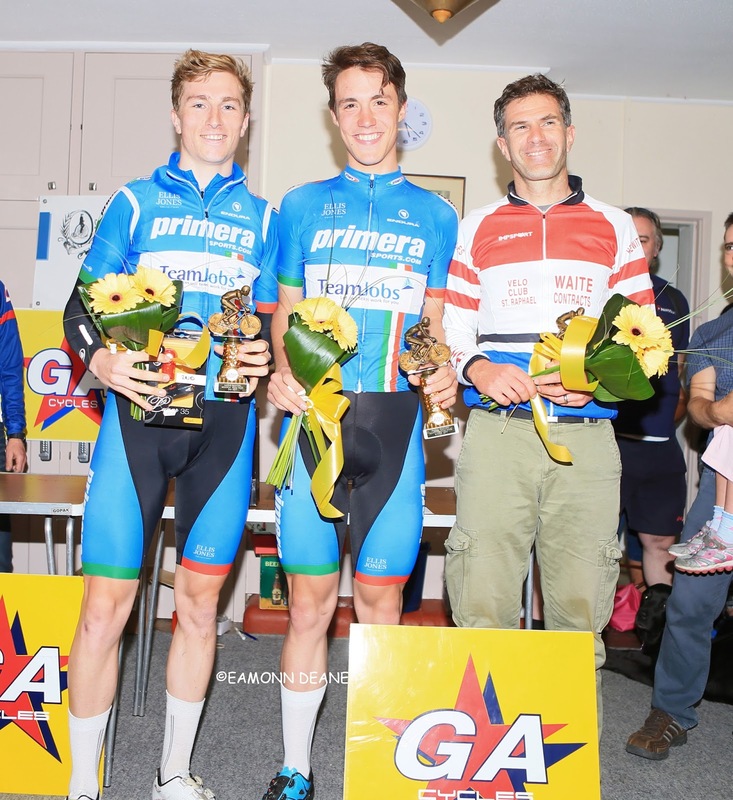 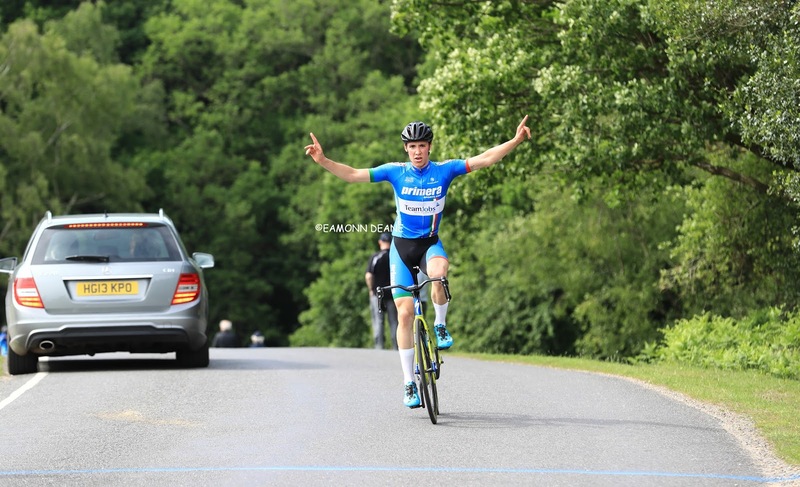 Matt Downie led a Primera-Teamjobs 1-2 as the team won the Sandie Radford race at Nomansland in the New Forest for the fourth consecutive year. 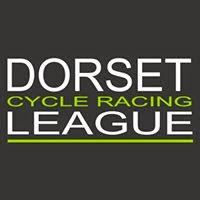 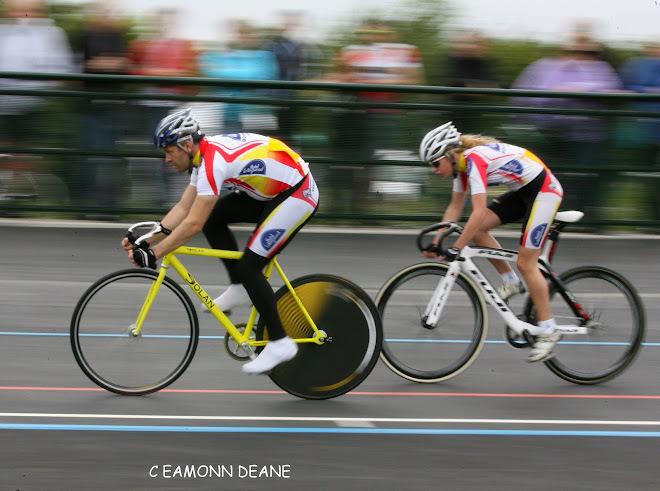 Riding with the confidence that comes with form and fitness,Downie never looked troubled as he took his second win of the season having won the Bournemouth Jubilee race two weeks back. 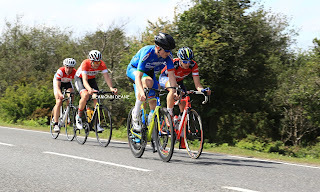 Downie attacked into the wind, early in the 40 mile race inviting Oscar Hutchings (VC Equipe-Flix) to chase, Hutchings obliged, others happy to leave him to it. 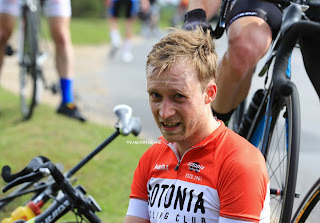 Downies initial surge was brought back but Primera, with strength in numbers quickly forced another selection as Downie, Thomas Key, Hutchings, Rowan Horner (VC ST Raphael) & James Peckham (Sotonia CC) pressed on as the wind got stronger. 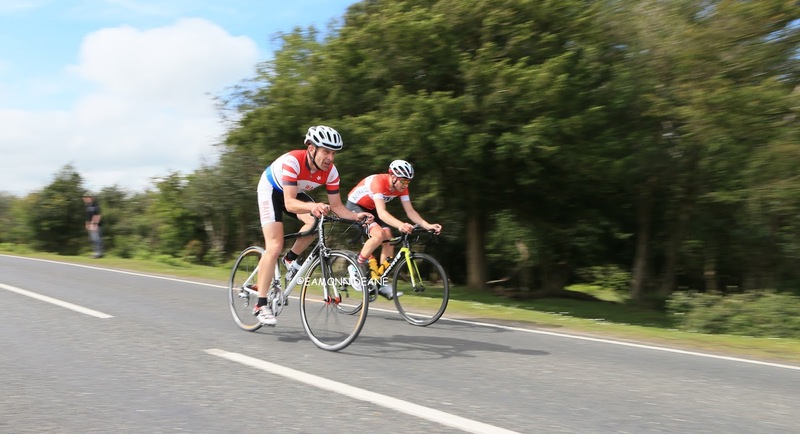 Behind Jason Gault, Julian Lockwood & David Pusey policed a bunch that was never going to reach the leaders. Good teamwork saw Key go away and Downie quickly link up, leaving the veteran and former winner Horner and the impressive Peckham to chase with Hutchings spent. Key too was slowing up, the crosswinds over the heath doing the damage to all except Downie who comfortably rode away to the finish on Pipers Waite hill. 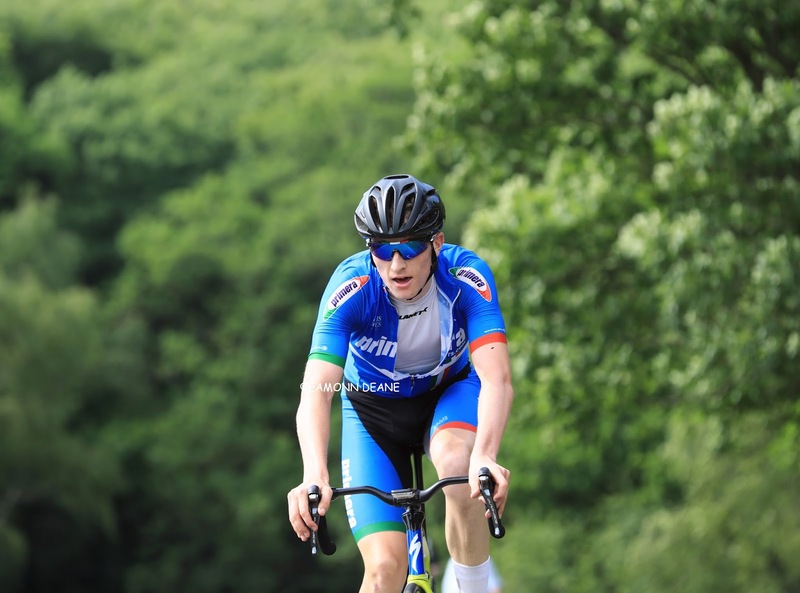 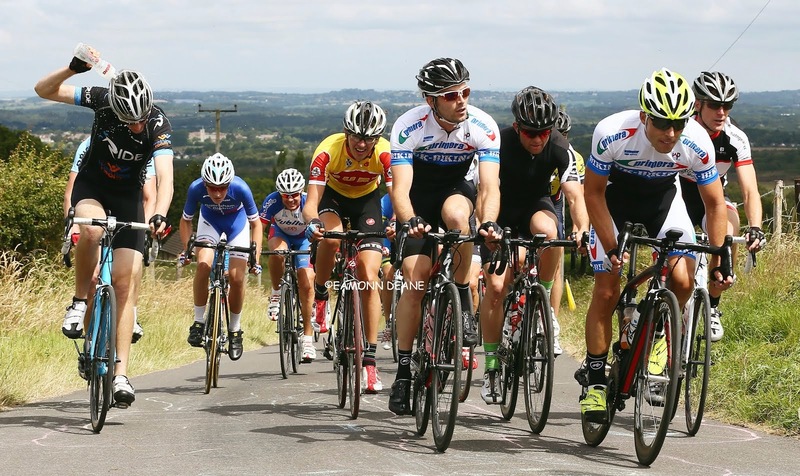 Patryk Rucki escaped the police and caught Hutchings on the climb to take 5th place, mountain biker David Pusey claimed 9th to put 3 Primera riders in the top ten with Sotonia also placing well, Red Walters 7th and Brook Elgie 10th, backing up Peckham. After a challenging start to the season punctuated by crashes and punctures 20 year old Matt Downie is starting to shine. 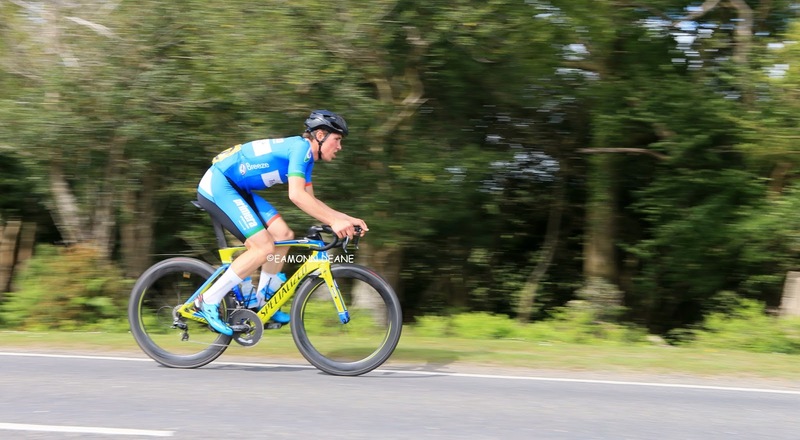 Impressive against the clock,aggressive on the road and a good team player, Downie has potential, he needs to set his sights higher if he is to realise that potential.